When P90X2 first came out I did an unboxing video on YouTube which went well but I didn’t go into exact detail about some of the stuff since I was so excited about opening it. I decided to make a new video today, this video talks exclusively about what comes with P90X2, that way if you’re considering buying P90X2 you’ll know ahead of time of what exactly you are getting. Not only that but if you order from a beach body coach like myself you’ll get two exclusive workouts which are noted in the video below. Of course there is some additional equipment required in order to get started the right way with P90X2. If you don’t have any of the equipment mentioned you’re better off buying the ultimate package which is a little bit more but will contain everything you need. So while P90X2 does require more equipment than the original P90X. It also tries to promote muscle growth in a whole new way. if you don’t have majority of the equipment mentioned above, you’re better off just buying the ultimate package will contain majority of everything you need(highlighted in green) to start P90X2. So I hope you enjoyed finding out what comes with P90X2! 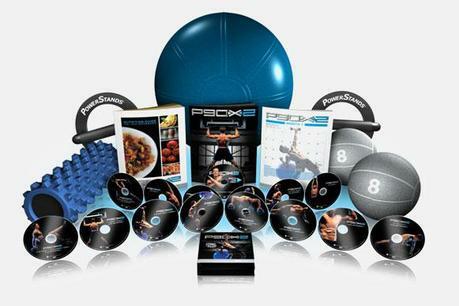 Watch the video below and if your interested in buying P90X2 yourself click the corresponding link.